AMERICAN-bound trotter Sparkling Success is set have one more start before leaving Australia. Winner of tonight’s Breeders’ Crown Graduate Free-For-All at Tabcorp Park Melton, Sparkling Success is scheduled to return to the venue in a fortnight. Trainer John Meade has earmarked the Maori’s Idol Free-For-All on September 8 as the squaregaiter’s farewell appearance. 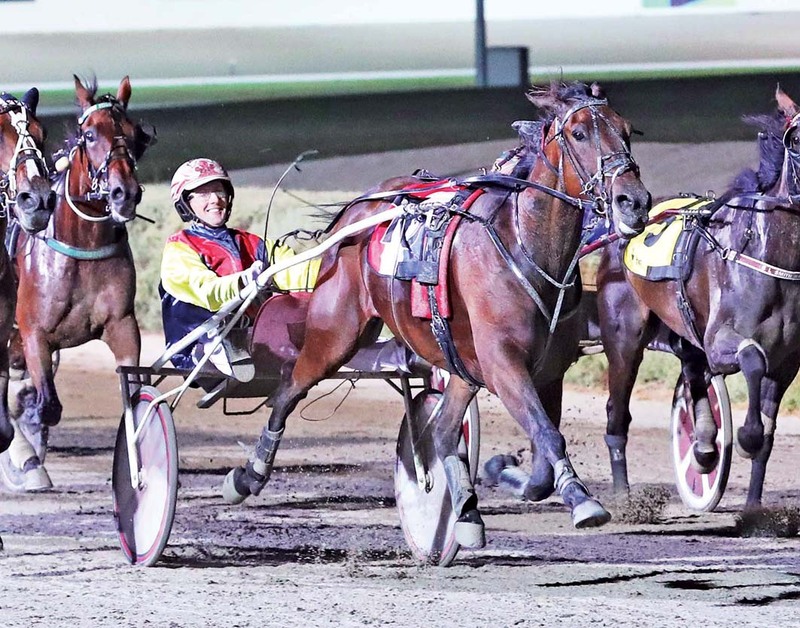 Sparkling Success is due to head across the equator the following week as he prepares to become the first Aussie to contest the famed $US1million Yonkers International Trot. “All things being even he will race again in a couple of weeks before we leave for America,” Meade said. “He’s come back to the stalls looking great from the run and could go around again if needed. “I changed his work leading into tonight and could see how much brighter he was. Driven by Chris Svanosio, who will partner the son of Great Success in America, Sparkling Success worked hard from his second row draw before finding the lead during the middle stages. With Svanosio sitting quietly in the cart, the gelding accounted for Big Jack Hammer and Maori Law in 1:58 over 2240 metres. “He could have gone faster tonight if he had to,” Meade said. “He is a racehorse which just does what he needs to. “Winning tonight has relieved a bit of pressure as since he got the invite to America there have been those who have question whether he deserves to go.